How are we in the second month of 2019 already? Anyway I've been listening to quite a lot throughout January, including some new songs to me (that may already be known to you), from the likes of Carly Rae Jepsen and Nickelback, as well as some great acoustic covers of already great hits. View the tracklist and embedded Spotify playlist below. You never know, you might find a new favourite song. 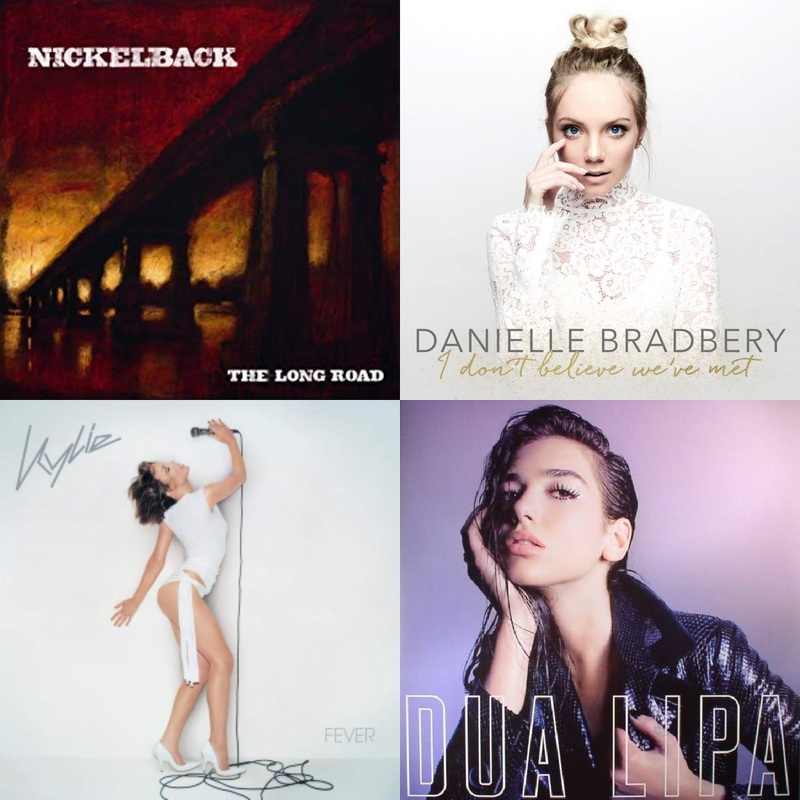 Nickelback album cover courtesy of Roadrunner Records, Danielle Bradbery album cover courtesy of Big Machine Group, Kylie Minogue album cover courtesy of Parlophone Records, Dua Lipa album cover courtesy of Warner Music.